Two brands share the top spot. 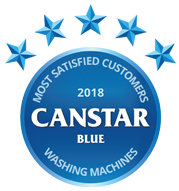 After both rating well last year, but not quite making top place, this year Simpson and Samsung have secured a top finish to claim the 2018 Canstar Blue Customer Satisfaction Award. But what do we like about our washing machines? How much do we expect to pay? 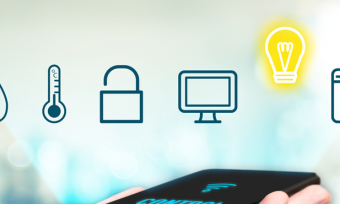 And, what should we be considering when buying a new one? Well, hopefully, that’s where we can help. 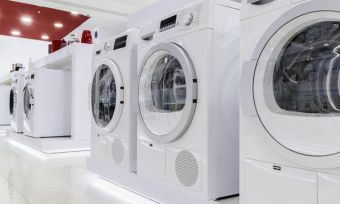 For most of us, a washing machine is pretty much an essential household appliance and although they’re a sizeable purchase – last year we discovered the mean spend for Kiwis is around $905 – they do tend to last a good few years. Unfortunately, when the time comes to buying a new machine, it can be pretty confusing with so many options to consider. Do you buy a top loader or a front loader? What size do you need? What’s the energy rating for? In the latest Canstar Blue survey (July 2018) we asked 1,176 Kiwis what they thought about their recently bought machines and what satisfied them about their machine’s performance. Not surprisingly performance and reliability were the largest drivers of satisfaction as people want their wash to come out clean first time, have no maintenance issues and have a machine that’s just going to ‘get the job done’. Customer Satisfaction Award winners Simpson and Samsung, were given a maximum five stars for performance and reliability. Ease of use speaks for itself really. It’s important that putting a load of washing on shouldn’t be a complicated or lengthy task. Again, Simpson took first place in this category with five stars. 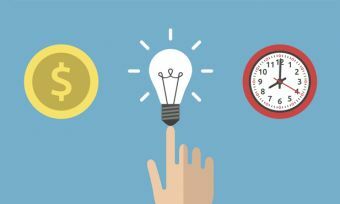 Next was value for money, which can be a pretty subjective category as it really does depend what you want in the first place and how much you expect to pay. The golden rule here is, work out what will suit you before you start to shop for a new machine and go with a budget in mind. Paying more for a flash machine is not going to give you value for money if you always use the same setting. Simpson was the only brand rated five stars for value for money with Fisher & Paykel, Samsung and Panasonic rating a respectable four stars. Design is another category that can be rather subjective as we all have very different ideas of what we like. However, Samsung seems to hit the spot with the only brand to receive five stars. Warranty and service gives peace of mind in knowing that you’re covered if things do go wrong. In this category, Simpson and Samsung both registered five stars. Quietness was the final driver of how satisfied customers were with their machines because you don’t want it to sound like there’s a jumbo jet revving its engine in your laundry or garage every time you put a load on. Samsung was again the only brand to receive five stars. The traditional top loader, with its large capacity and often shortened wash cycles is still popular in New Zealand but the more energy efficient front loaders still have a lot going for them. Buying the correct sized machine is very important. Too small and you will be doing a lot of extra loads. Too large and you will unnecessarily add to your energy and water bill. As a rule of thumb, 6kg–8kg capacity machines are suitable for families of four people, while couples and singles should need a capacity no greater than 5kg. Remember, your machine will last a while, so plan ahead. Another important consideration is the washing machine’s efficiency star ratings and 56% of the people we spoke to said that this was important to them when they were considering which machine to buy. Generally speaking, machines with a lower rating tend to be cheaper upfront than more efficient models. The flip side is that the (generally more expensive) energy and water efficient washing machines can save you money in the long term. Remember, the more stars it has, the more efficient it is. Delayed timer: A delayed timer is a function that allows you to pre-set a start time for your washing machine. 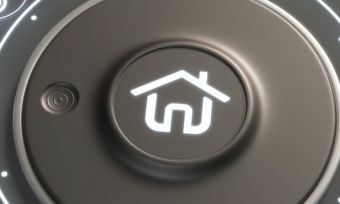 It can be used before bed to set the washing machine to operate during off-peak tariff periods. 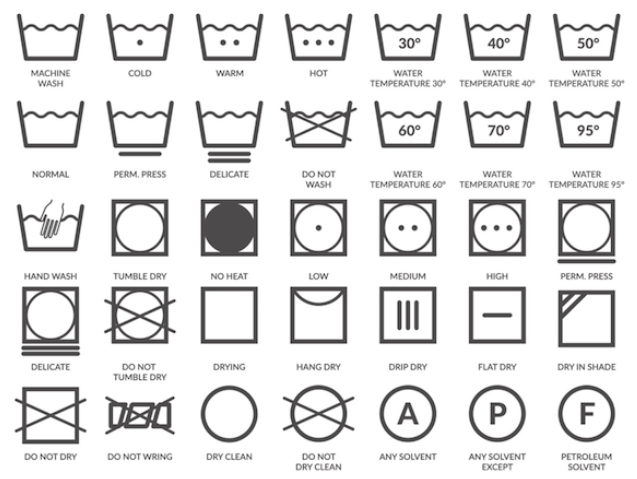 Wash settings: Certain washing machines have access to a range of washing options. Some notable ones include fast wash, hand wash, anti-crease, cold wash, warm wash, hot wash and heavy wash.
Adjustable spin speeds: This function lets you change how fast your clothes are spun. Faster speeds result in dryer clothes at the end of the cycle, while lower speeds can be used to protect delicates. 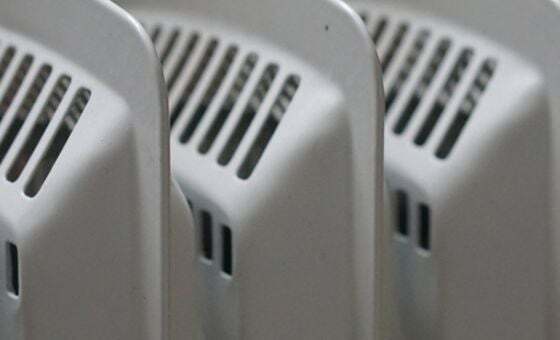 Stainless steel barrels: Cheaper washing machines will use porcelain coated steel, which can chip over time. Stainless steel barrels will usually last well beyond the rest of the washing machine. What washing machine cycles should you be using? Washing clothes is easy – simply dump your clothes in the machine, add some detergent and press the start button, right? Unfortunately, it’s a little more complicated than that if you want to properly look after your clothes. Different fabrics and colours require different treatment, and failing to wash them properly runs the risk of ruining your clothes. Washing different colours of clothing together can also lead to the dye running and the colours mixing. Keep it level: Regardless of whether you have a top loader or front loader washing machine, if it is not level, the barrel will be spinning at an angle. This can result in loud rattling or possibly the barrel dislodging. Clean your washing machine: It may sound odd, but your washing machine also needs to be cleaned. But don’t worry, this is relatively easy – simply add baking soda and vinegar in lieu of detergent to your washing machine and start a full cycle with no clothes. Reduce mildew growth: Certain washing machines and detergents do little to prevent the growth of thin layers of mould or mildew. Though this is easily dealt with by cleaning your machine on a monthly basis, growth can be slowed by ensuring you don’t leave wet clothes in the machine or by leaving the machine door open to allow air circulation. Canstar Blue commissioned I-view to survey 2,500 New Zealand consumers across a range of categories to measure and track customer satisfaction. The outcomes reported are the results from customers who have purchased and used a new washing machine in the last 3 years, in this case, 1,176 New Zealanders.